Albert "Albie" Guilderson, 81 years of age, of Amherst, passed away peacefully on Saturday, December 15, 2018. Born in Parrsboro, he was a son of the late Leo & Genevive "Gene" (Parker) Guilderson. Albert worked for the Canadian Coast Guard for 23 years, retiring as a 1st Engineer. After retiring from the coast guard he worked as a commissioner at the Prison camp in Sand River and he worked at the Springhill Penitentiary . Albert enjoyed fishing. He liked going to auctions. 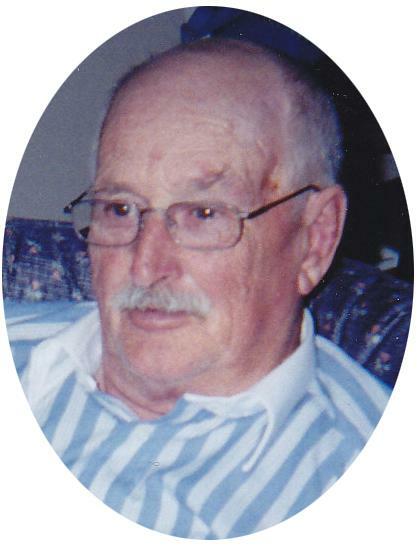 Albert will be sadly missed by his wife of 57 years, Ruth; daughter, Brenda Harpel of Oxford, NS sons, Greg of Parsons, BC, Joey (Laura) of Airdire, AB; eight grandchildren, two great grandchildren; brother, Pat (Donna) of Masstown, NS; sister in laws, Sherrill Pettigrew (Roy) of Amherst NS, Carolyn Martin of Amherst, Carol O'Regan of Amherst, Sandra (Dan) McSweeney of Bridgewater NS, brother in law Tim Martin (Elaine) (Beaumont) AB, Lester O'Regan of Joggins. Besides, his parents, he was predeceased by his son, Albert, brothers Clarence, Donnie, a sister in infancy. Arrangements are under the care and direction of Furlong-Jones Funeral Home, 70 Church St., Amherst, NS (902-667-8777). The family will receive visitors on Thursday, December 20, 2018 from 6-8 p.m.. A funeral service will be held at the funeral home on Friday, December 21, 2018 at 2 p.m. Burial will take place in the Hillside Cemetery, River Hebert East in the spring. Should friends desire, memorial contributions may be made to the Alztheimer's Society or the charity of your choice. Sharing of memories and condolences may be sent to the family by visiting Albert’s online memorial at www.furlongjones.ca or through the Furlong~Jones Funeral Home Facebook Page.